Award winning South Wales transport operator Owens Group of Llanelli recently placed an order for an additional 17 nearly new MAN tractors for their fleet. The 2019 West Wales Business of the Year, Owens Group has grown from small beginnings back in the early 70s to be South Wales largest transport fleet operating today, running in excess of 500 vehicles with more than 800 staff. 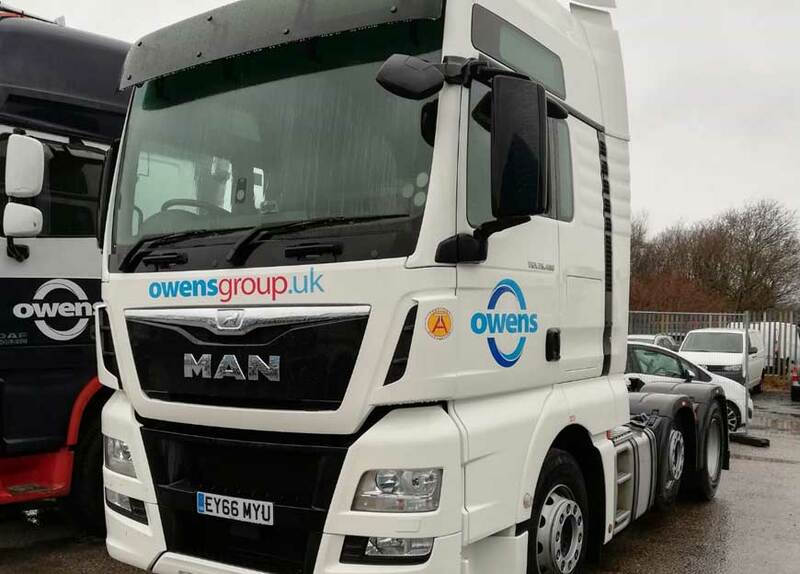 A long-term supplier of MAN trucks to the Owens Group, W G Davies supports this forward-thinking business with full maintenance and genuine parts supplies on a daily basis. Providing quality support that is appreciated by operators like Owens, is what makes W G Davies stand out as a leading commercial vehicle dealership here in South Wales. MAN’s award-winning trucks, vans and VIP coaches are all available through W G Davies and their sales connections.